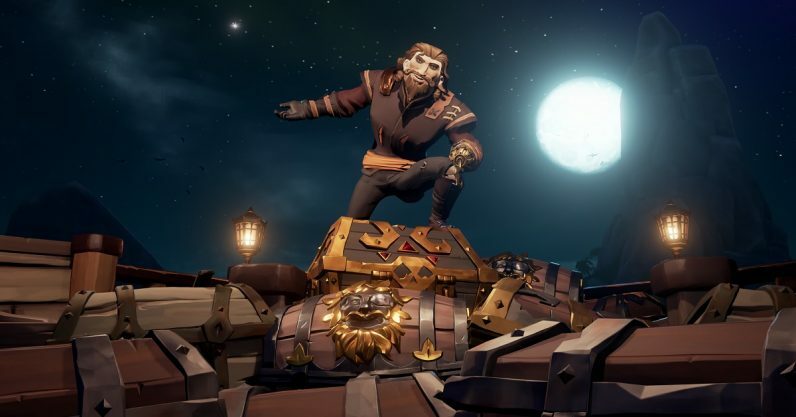 In the latest gossip from the occasionally bizarre world of gaming communities, fans of the pirate game Sea of Thieves are angry because a popular Twitch streamer allegedly cheated his way to the top spot. The streamer, Prod1gyX, became one of the first to reach “Pirate Legend” status earlier this week. Within a few hours, critics popped up, accusing him of boosting his way to the top by claiming loot discovered by various players as his own. They even have their own hashtag: #NotMyPirateLegend. Ordinarily, I’d dismiss this as trolling, but a quick look over the Sea of Thieves subreddit makes me think people are legitimately upset by this. Many are accusing him of bad play, using his Twitch followers to get the booty necessary without putting in the effort to find it. I don’t want to judge anyone for how they choose to spend their precious free time on this planet — I actually spent money on PC Building Simulator. But allow me to suggest the upset in this case is a bit misplaced. I’ve already put my thoughts on Sea of Thieves on record, but if you’re just tuning in: I think it’s so boring in its current form that I would never be in any danger of making myself a Pirate Legend — which requires getting Rank 50 with all three companies — by the sweat of my own digital brow. I’m halfway to commending Prod1gyX for getting there at all, underhanded means or not. It’s the same feeling I’d have if I saw someone shove an entire live octopus up their nose — I’m certainly not interested in replicating the feat, but good for them for finding a way. And if I found out later they used a speculum to ease the process, I’m not sure I’d blame them. Also, I don’t claim to be an expert in maritime history, but I’m pretty sure swooping in to take loot hard-won by other people is the entire raison d’etre of pirates (the ones who weren’t acting in the interests of European governments, of course). So the players of a pirate game seem to be upset at a streamer for acting like a pirate. I’d hazard a guess Blackbeard rests contented in his grave this evening.